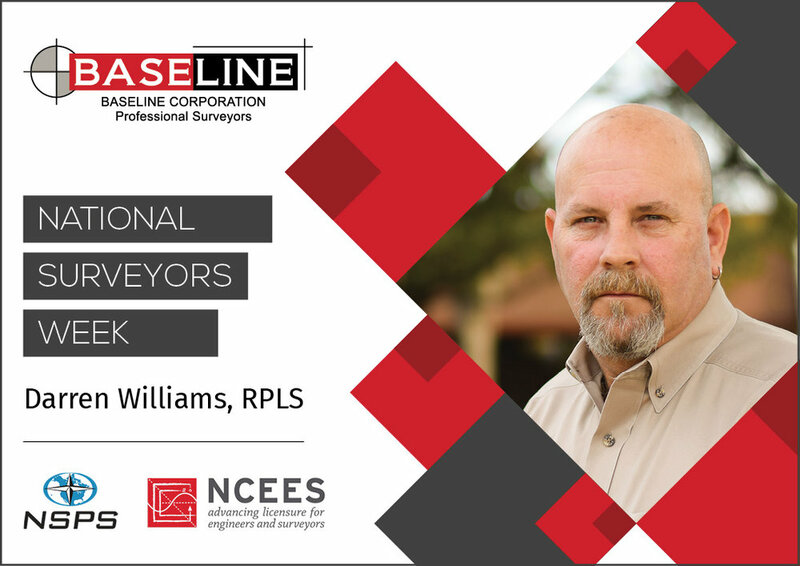 National Surveyors Week Spotlight: Darren Williams, RPLS — Binkley & Barfield, Inc.
How has Baseline helped you to develop and expand your professional career as a Registered Professional Land Surveyor? It has provided me the opportunity to branch out to areas besides surveying. What advice would you give to someone interested in pursuing a career as a surveyor? Go to work for a surveyor to be sure that you are interested in it. If you are still interested in it after that, learn from as many sources as you can because not every surveyor will do things the same way. The on-the-job training is nearly as valuable as the formal education. Keeping up with the ever changing technology.